Othon returns with this digital release comprising tracks taken from and inspired by his Pineal release. Pineal, which we raved about last year, was inspired by Othon's travels into the Brazilian Amazon rainforest where he experienced sacred ceremonies and took the psychedelic Ayahuasca under the watchful eye of the shamans. It was here he became exposed to the music, the hymns and songs of the indigenous tribes, which would appear transformed in the second part of Pineal. An impassioned Marc Almond sings in Brazilian on a slightly retouched version of the wonderfully evocative 'Cobra Coral', taken from Othon's third album. Over a hotbed of enticing traditional rhythms, and accompanied by an agglomeration of male and female voices from Othon's self assembled Ayahuasca choir, Almond provides a sensual working transforming this Umbanda hymn into a euphoric piece of shamanic dance music. As a result of Pineal, Othon was invited to DJ at the closing party of the World Ayahuasca Conference in Ibiza in 2014. This marked Othon's first ever DJ performance, a role he has continued to perform at his own Papa Loko parties at Dalston Superstore and at Kaos. At the time of his second album, Impermanence, I questioned Othon about dance music, as I detected a latent dance feel within his sound. "Definitely, in fact I am doing that right now!" he responded. 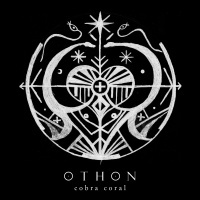 Othon's move into dance music are best represented by the two additional mixes on Cobra Coral and especially the 'Cobra Coral (Quantum Mix)'; an evocative collaboration between Othon and Charles Poulet, sound artist and sound engineer for Throbbing Gristle, Chris & Cosey, The Pop Group and Factory Floor. The looped flute playing which opens this mix is anchored to a steady rhythmic throb from which everything coils. Flickering electro sequences and squelchy electronics are woven with flourishes of otherworldy flute playing - which gets continuously more tribal and delirious - performed by Bird Radio. Unfurling slowly this 'Quantum Mix' reaches the first of several climaxes: where the Amazonian voices sing the 'Cobra Coral' chorus, before sweeping cuts of strings and dreamy electronic sequences appear scooping up the massed choir voices as the beats get heightened and more rapid, and are joined once again by the evocative wafting flute before it all gets whipped up into a multi-layered mass of non-stop ecstatic exotic dancing. The entire thing appears to represent a transcendental journey, whose vibrations will resonate as much at home as it would do in a club. Othon and Charles Poulet have crafted a really stunning remix here. Don't miss it! The German techno duo, Boss Axis, opt for grooving beats rather than a transcendental workout on 'Cobra Coral (Boss Axis Mix)'. Merging techno bleeps and electronic handclaps, with passages of the native singing of the Ayahuasca choir and Bird Radio's flute playing, it's melodic and euphoric but nowhere near as inspiring as the hallucinogenic journey created by Othon and Charles Poulet. This Boss Axis mix is aimed squarely at the dance floor. Cobra Coral is a digital release and can be purchased from Amazon, Google, iTunes etc. A vinyl release would be more than welcome. As an aside, Marc Almond will be singing on a multi media performance of J.K Huysmans' Against Nature with lyrics from the poet Jeremy Reed with a musical soundtrack scored by Othon. Look out for it!